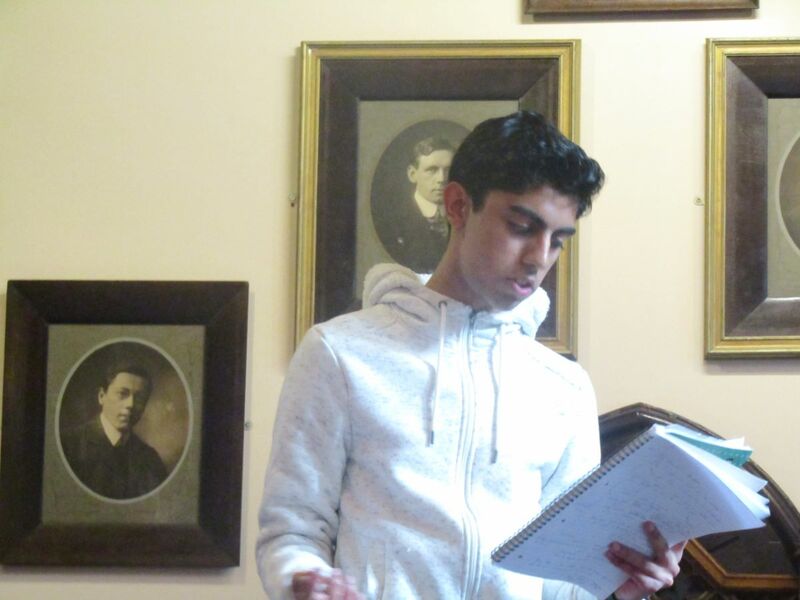 The quality of Middle School debating was reflected by a strong showing in the regional round of the International Competition for Young Debaters at the Cambridge University Union. 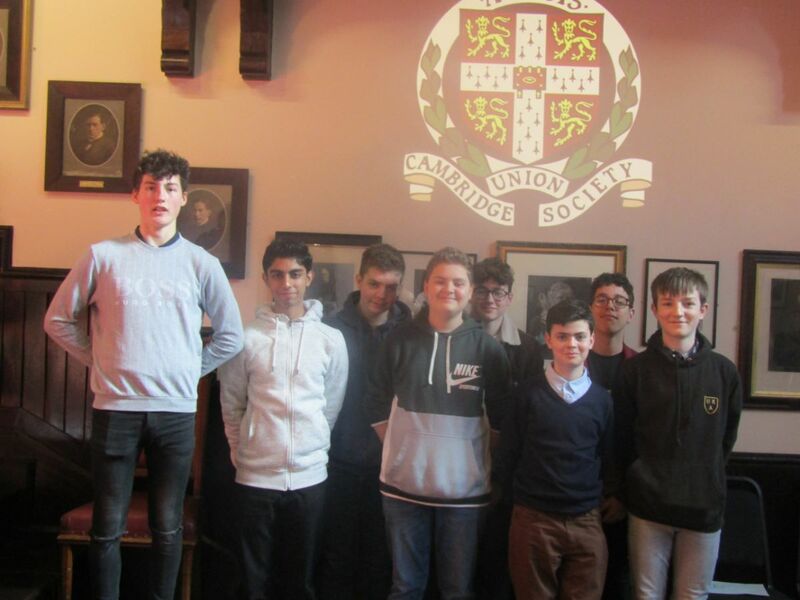 Our teams consisted of Year 10 students Nabil Shah & Will Worthy who were in only their second interschool competition, plus Tom Harding, Elliot Wood, Finn Aylott and Finn Lihoreau (all seasoned campaigners in British Parliamentary debating). In contrast Year 9 students Dan Jordan & Eric Queeney were both representing the school for the very first time. The motion for the first debate was “This House Believes That Social Media Have Done More Harm Than Good”. Will & Nabil closed the case for this proposal in their room, where I felt that they, along with all the teams, tended to focus on examples of social media doing harm or doing good rather than addressing the comparison mentioned in the motion. Nevertheless, the judge praised them for being strategically smart and awarded them a well-deserved first place. This result was matched by Elliot & Tom, who spoke first against the motion in their room. 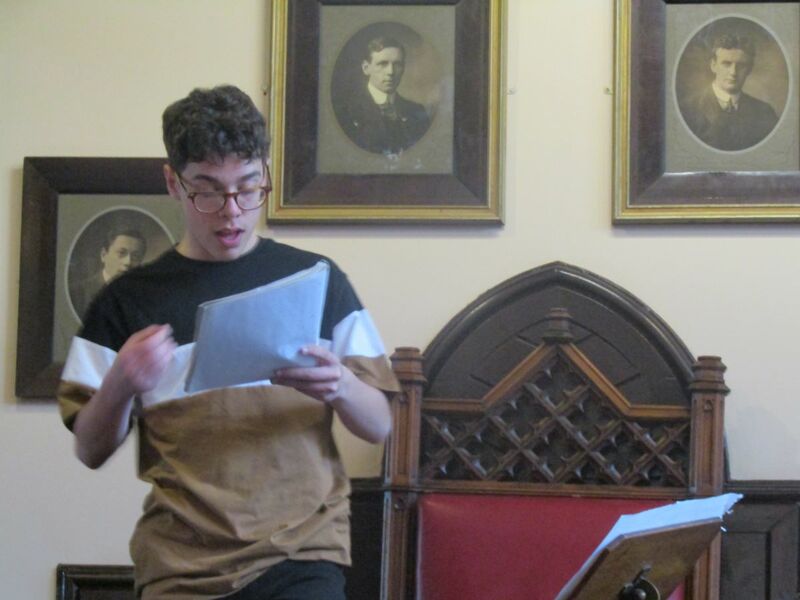 Competing in the historic Union Chamber, Eric & Dan also opened for the Opposition and gained a very pleasing second place, whilst Finn & Finn also achieved a very close second after being the last team to speak in their room. Two wins and two second places represented the best TBSHS start to a BP event that I can remember, but it did mean that our teams would then face tough competition, as in all rounds after the first you have to debate against teams with similar results to your own. Unlike the other two debates, where everyone only has 15 minutes to prepare their speeches, all teams had been given plenty of advance notice of the subject of the second round. Dan & Eric found the motion “This House, as the US, would stop all arms sales, military support, and other aid to Saudi Arabia”, and their opponents, hard to handle and had to be content with fourth place. Meanwhile two of our teams faced each other with the two Finns opening the case for the motion and Nabil & Will speaking first against them. 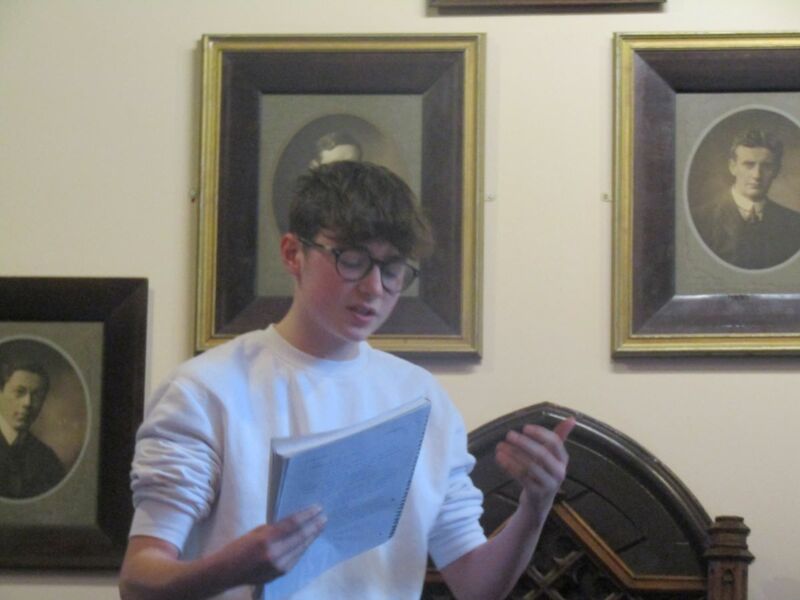 Finn L opened the debate with a very clearly set out case for the motion that covered the effect of the Saudi war on the population of Yemen and the danger that US involvement in the Middle East could ‘come back to haunt America’. In response Nabil argued that American withdrawal from Saudi Arabia would leave an opportunity for ISIS to move in and reminded his opponents that the US imports a lot of oil from Saudi Arabia. 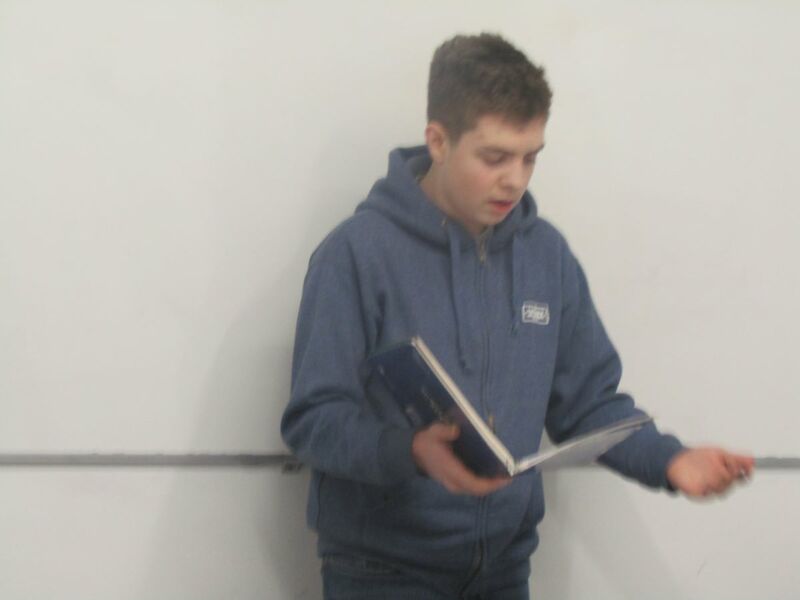 Finn A’s speech focussed on the oppressive nature of the ruling regime in Saudi Arabia, drawing on the Kashoggi case and the restrictions placed on women, as he emphasised the danger of America becoming increasingly isolated in the world. He also dealt very well with an awkward intervention from the Opposition. Will also put down a point of information raised during his speech with real authority. In contrast to the two Finns, he argued that the US could achieve more to improve conditions for Saudi citizens by co-operating with their Government than by withdrawing from the country. In a close decision, Will & Nabil deservedly gained another first place, just ahead of Finn & Finn. Meanwhile Tom & Elliot, closing for the motion, spoke very well, but were only placed second in their room when they felt that they should have won, an opinion shared by Miss Davies, who watched their debate. Even so, with one round to go, TBSHS had three teams with chances of finishing in the top four and thus qualifying for the Regional Final. The third motion of the day was “This House Would Ban Reporting of the Private Lives of Politicians”. I watched Dan open the debate with a well-structured speech that laid out a case for the motion based on the right to privacy. He spoke calmly and chose his words carefully, but was slightly knocked out of his stride by a challenging question. Eric backed him up well, expressing the argument that the press should concentrate on the activities for which politicians are paid, such as their policies and speeches, very clearly. He and Dan were rewarded with another second place to complete a very promising debut. Finn Lihoreau & Finn Aylott opened the case against the motion in a room containing teams from Oundle and Sevenoaks Schools (both independent schools with strong debating traditions). Meanwhile, in the ‘clash of the titans’ observed by Miss Davies., Elliot & Tom took on Nabil & Will, and also teams from Oundle and Sevenoaks, with the TBSHS pairs speaking first for and against the motion. Will & Nabil maintained their unbeaten record and, it transpired, finished top of the team rankings by some distance. This meant that they qualify automatically for International Finals Day in April. At the time of writing the Cambridge students running the competition still have not let us know the full results so we cannot tell how close our other Year 10 teams came to joining them. Finally, the four top-ranking teams compete for the title of Regional Champions. Nabil & Will were drawn to open proceedings in support of Voluntourism (a type of holiday in which you work as a volunteer, without pay, to help people in places you visit). Both students spoke very convincingly, drawing attention to the benefits of tourist income as well their actual work under the schemes that they supported. They also some put forward some really telling points of information against their opponents’ arguments and dealt very confidently with those raised by the Opposition. In a close-run contest they were placed second to a team from Hill House, with Oundle teams in third and fourth places. Retired teacher Tony Fraser commented, “Congratulations to Will and Nabil for reaching Finals Day, the fourth team from the school to achieve this feat in the last three years. I expect that when we eventually see the final results there will be three TBSHS teams in the top 10, which must make us one of the strongest debating schools in East Anglia. All our students spoke very well and remembered to put into practice a lot of the advice they had been given by Mr Patterson and Miss Davies. Many thanks to Miss Davies and all the parents who came to support the students, who did them and the school proud”.